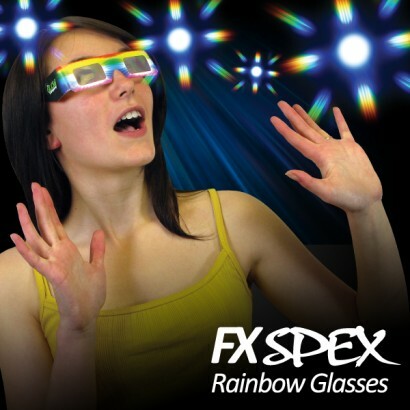 See your world explode into a landscape of colourful light in these incredible FX Spex! Amazing fireworks effects leap into view whenever you look at a bright light source in these cool holographic specs making everyday items such as lighting, fires, fireworks and glowsticks, look out of this world! They also make your flashing novelties look incredible! 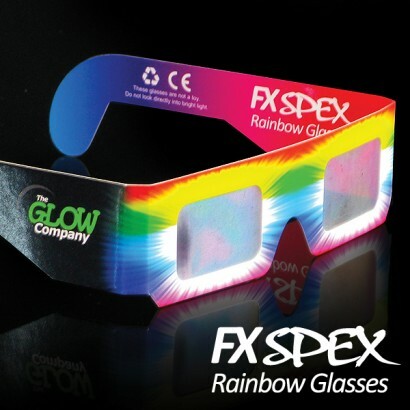 Everyone will love the amazing laser like effects that you see every time you put these fantastic FX Spex on! Simply pop them on and be transported to a magical world of colour!